Happy 2010 to everybody, how did the new year new days has going on with you so far? New Year eve, we not went anyway to count down and see fireworks beneath us. Me and my brother (hubs too tired, rest early) brought Terry to OUG Pasar Malam for the first time. A new thing to him to shop under the night lights. For myself, I think got 4 years long I'm not visiting Pasar Malam. It was quite a pleasant one to shop as compared to last time when those days pirated VCD were hot selling, loud speakers everywhere playing songs. I found many cute-cute stuff now, jewellery accessories, crocs shoe and etc..bought an UV protection arm sleeve and a 3x3 square Rubik's cube puzzle (RM10) for the boy. He was happy with it and wants to go again. When the clock strike 12am, Terry was busy searching the firework noise. It was too far away from us but still able to watch it. Staying at the height of 10th floor, we able to spot 7 places fireworks all over at PJ side. When its over, we hit the sack at 12.20am. Next day, we woke up as usual. When we woke up daddy was already busy with his sales reports. We have a quick brunch then headed to Genting Highland. Another first time for Terry to the place and experience some cold weather. He slept through the journey. We only explore the First World Hotel and not go outdoor. To our surprise, the crowd is just as usual, the weather is at 15'C. After spending a good 4 hours there for 2 rides (Monorail and Rides de Paris), walking up and down, queue for ticket and rides and a tea time, we head back to KL for dinner at 6pm. Terry also slept through the back journey, I think he found the car ride was too dizzy and too long for him. happy new year to you, Judy. 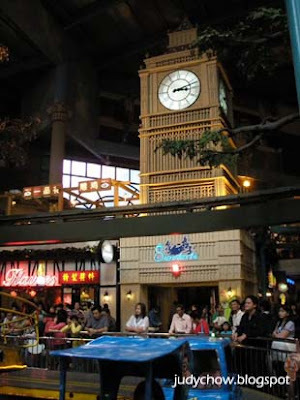 Awww....our favourite place, Genting Highland! 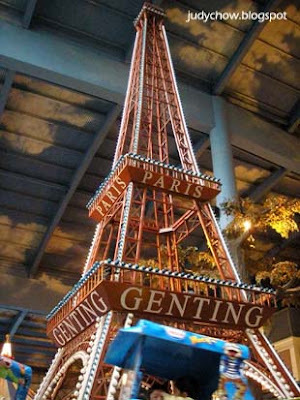 Nice trip to Genting. For me, I avoid it cos just too pack. Bet it was fun to watch Terry on those rides. Unfortunately Darren never like those rides. Funny him!! Happy New Year!! 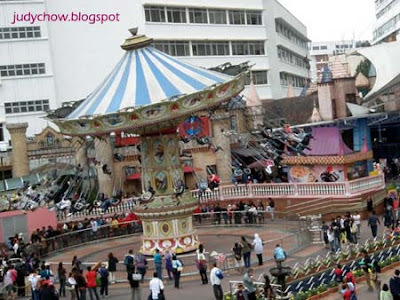 I'm surprised Genting was not crowded on New Year's Day..hehe..almost wanted to go there. Yeah...must make the most out of it when spending time with family. :D Glad to know Terry enjoyed the outings. A cold and nice 1st day you have. It's really nice to spend quality time with our beloved family. Happy new year!! Got to treasure all family time together, even if it's spent staying at home :) Which school is Terry attending? 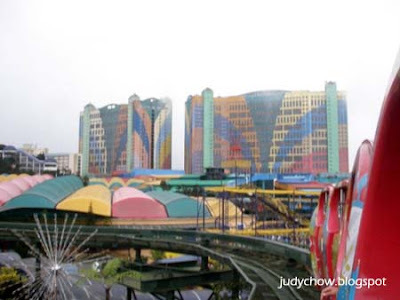 I'm surprised Genting is not super packed on New Year's Day. It's a PH and still sch hol. Wat a fun family outing. 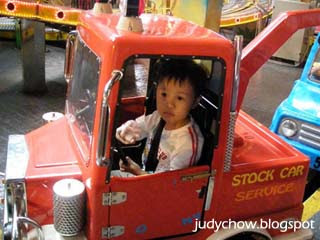 I like Genting so much and me and my family just went there in Jan too. Terry played 4 hours only on two rides? He really enjoyed the rides yeah. Good good! Who take off your shoe?